You’ve made it out past the waves, been for a swim out in the open water, and now it’s time to return to the shore. To get back as efficiently as possible, you’re going to want to avoid the seaward flowing rip currents and locate the water and waves moving towards the shore. The flow of water towards the shore and the more regular presence of waves over sandbanks makes them the perfect location position yourself for your return. Even more specifically, you’ll want to locate the middle of the sandbank, which is where the water flow will be more perpendicular to the shore. As you swim closer to the edges of the sandbanks, the water is more likely to be moving sideways into the neighbouring channel/rip current (to equalise in the channel where the water is shallower). Andre teaching a clinic of ocean swimmers how to locate the runway. To locate the middle of the sandbank, take a moment offshore (behind the waves) to watch a set roll in through the surf zone. Look for where the swell stands up the highest the earliest, and then breaks first. This will indicate that this part of the sandbank is the shallowest. Ideally, you’ll want the waves to stay broken all the way to the shore, indicating that the seafloor is getting shallower all the way in. The whitewater left behind by the broken waves now becomes your ‘runway to shore’. Before you head off, identify a landmark on the shore in the middle of the sandbank. Then, as you swim back to shore, sight forward keeping the landmark and the whitewater in front of you (your runway), and sight backwards to ensure the whitewater is behind you, along with the breaking waves. If it looks like you’re swimming off your runway, change your course and head back onto the runway. It’s ok to snake in through the wave zone if it means staying on the sandbank and avoiding the rip currents. Keep the broken waves and whitewash in front of you, and sight forward and backwards as you head to shore. Sight forward and backward to stay on track. 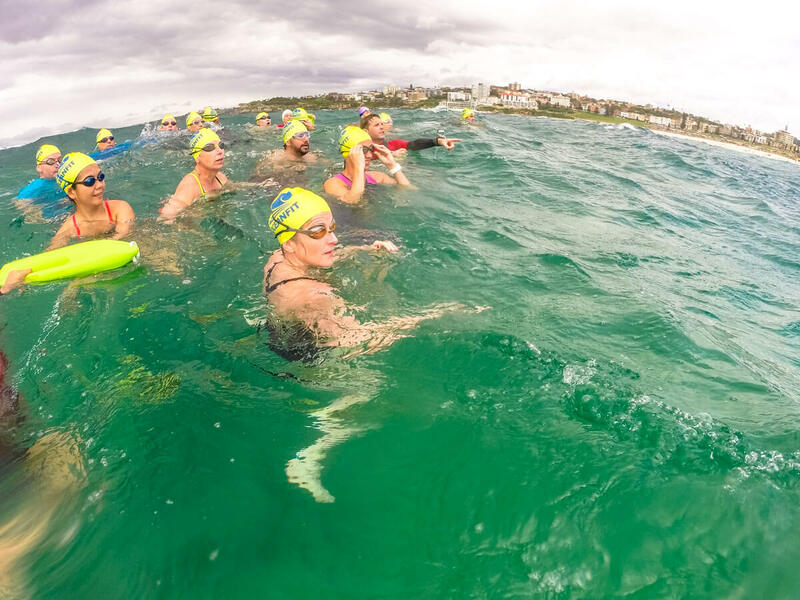 When transferring from the pool to open water, there are some slight variations you can make to your swimming stroke when waves, wind chop and swimmer wash make the water surface bumpier. 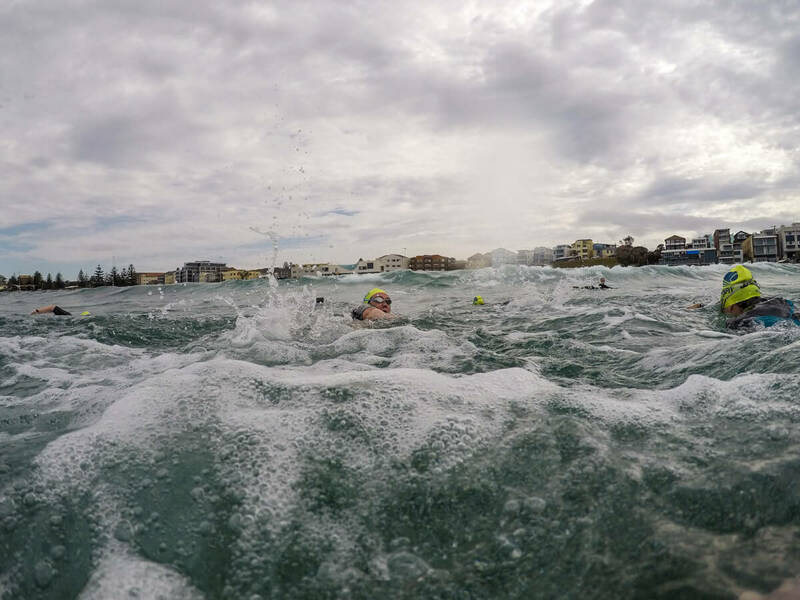 The journey back to shore through the surf can generate more anxiety and concern than at any other stage of an ocean swim, but that doesn't have to be the case. Learn how to get an edge on your way back to shore by catching rides on the swell.